We know that sleep is good for us. Heck, its better than good – its absolutely essential for the maintenance of normal health and function. Without sleep your body would deteriorate at an extremely raid rate. After a couple of days, you could expect to see difficulty maintaining focus, a serious drop in attention, issues learning new skills, declines in short and long-term memory, and even associated nausea and hallucinations. In a more chronic sense, the accumulation of poor sleep quality can lead to an increased risk of cardiovascular and metabolic disease, rapid and unwanted weight gain, chronic increases in inflammation, and even an increased risk of mental illness. In short, making sure that you get enough sleep, and ensuring that sleep is of a high quality, is essential. Which is why we have gone and done the hard work for you, finding some of the most effective ways to improve sleep on the planet, thus ensuring that you get your recommended 7-9 hours per night. Which takes us quite nicely into the topic of todays article, being sound machines. As their name obviously suggests, sound machines are pretty much just that – machines that create sounds. In a more specific sense, these machines are designed solely to make white noise. White noise is quite unique as it essentially functions as a type of anti-noise. Within this, I mean that it is essentially a redundant noise that doesn’t require focus. As a result, it acts as a distraction for normal thought and focus. This noise physically dampens and muffles other sounds and noises that could potentially demand focus and attention — for example, outside traffic, a dripping trap, or even your partner’s snoring. These noises have been suggested to have negative implication for sleep, as they increase focus and attention within the brain, which in turn stimulates waking and sensations of alertness. 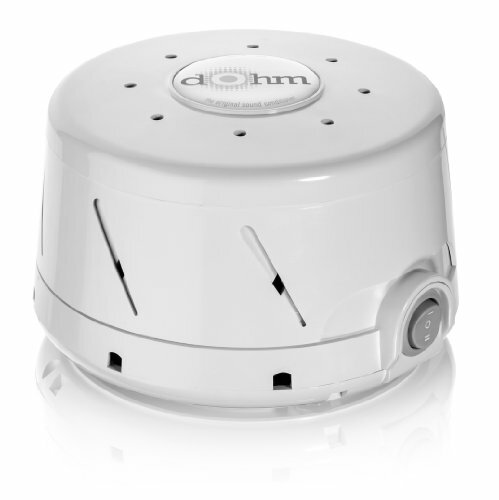 As a result, sound machines designed to create white noise have been suggested to enhance sleep quality by providing a distraction for the brain, in which they subsequently promote sensations of relaxation and tiredness . 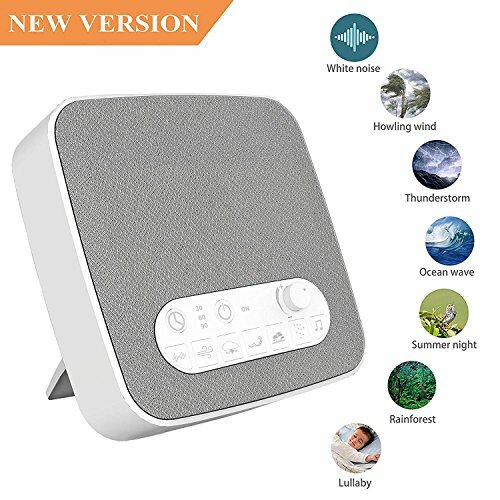 What are the Sleep Benefits of Sound Machines? There has been some interesting research around the application of sound machines as a way to enhance sleep, with rather positive results. First and foremost, there is recent research demonstrating that those individuals in noisy intensive care facilities who use noise machines as a sleep aid experience much greater sleep quality than those who do not . This supports the suggestion that these machines have the ability to distract the brain in even the most sporadic and noisy environments, thus enhancing sleep quality. Interestingly, when applied in both babies and adults, these improvements in sleep also appear to come with increases in sleep duration, while simultaneously increasing the speed at which they fall asleep [3, 4]. Taking all of this into consideration, it becomes pretty obvious that sound machines do exactly as advertised – cause huge improvements in overall sleep quality in an effective and efficient manner. 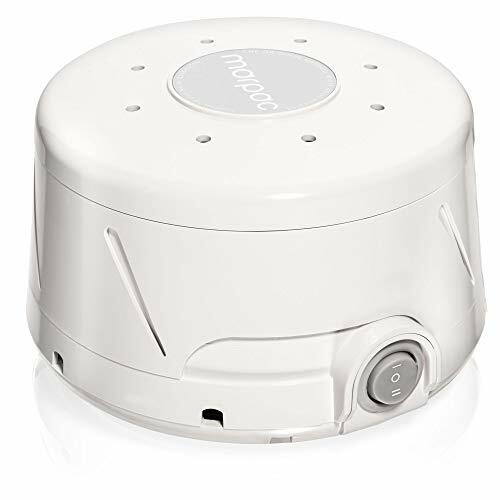 Given that sound machines offer one of the easiest ways to improve sleep on the planet, we wanted to give you some great options that you can start using immediately. Our first option is an absolute doozy. With over 11,000 reviews on Amazon, this is hands down the most popular sleep machine on the market at the moment – and for very good reason too! 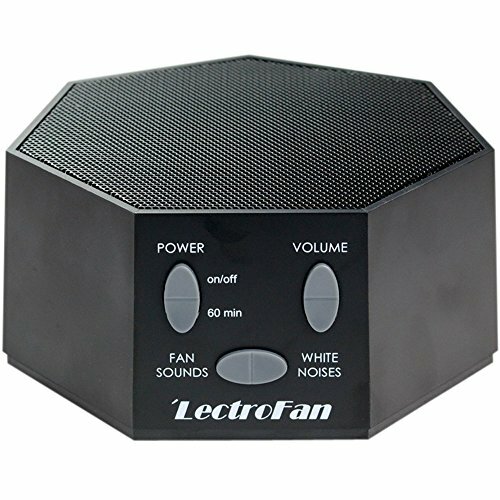 Offering an extremely simple two-speed noise design in conjunction with the inclusion of a physical fan, this great sound machine offers the perfect means to blur out any sounds that might plague you throughout the night, while simultaneously cooling down the air temperature of the room. Combine this with some seriously good durability, and you have a recipe for success. 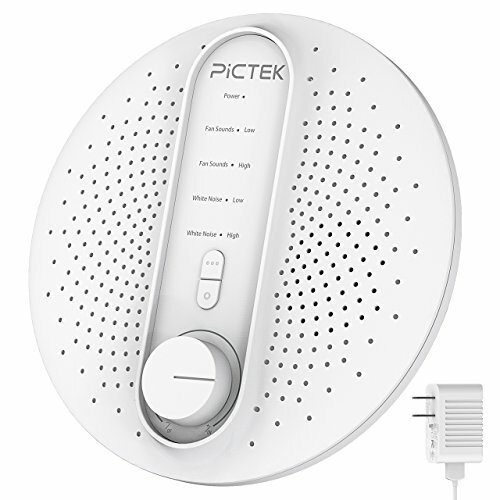 Sleek and effective would be the two words I would use to describe this fantastic noise machine. Extremely portable, this small-scale machine packs a massive punch, with a whopping 20 different white noise sounds to choose from. 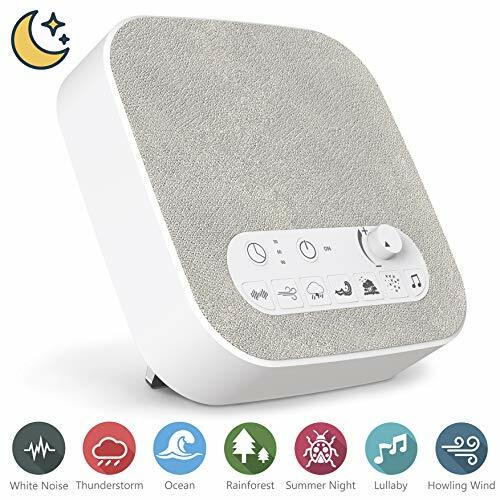 This makes it perfect for any individual looking for a quality sound machine to enhance sleep. It is important to note that this machine has been extremely well received by consumers, with customers applauding both its quality and effectiveness. Talk about a nice-looking machine. 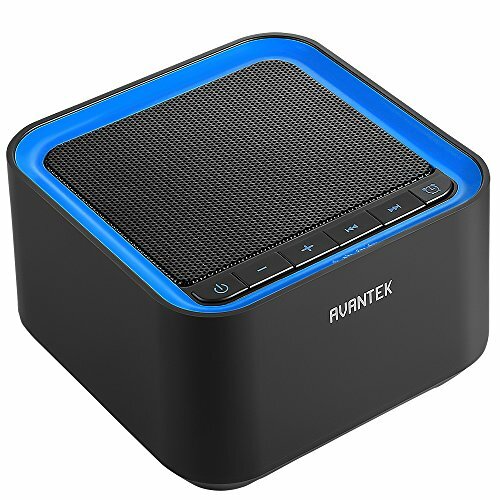 Similar in appearance to a well-designed portable speaker, this great sound machine combines some seriously high-quality construction processes with a great-quality materials to ensure a final product that will last you a lifetime. Again, coming with 20 distinct sounds, this is an extremely versatile option that should suit everyone’s needs. 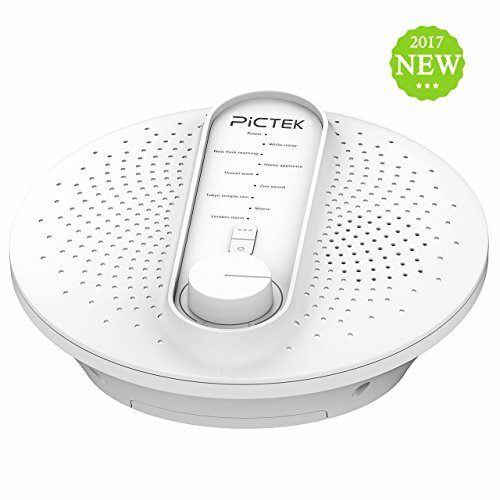 This sound machine by PICTEK has been designed to offer a simple, effective, and affordable method of introducing white noise into your bedroom. This great machine offers 24 great sounds and is super portable. As an added bonus, it is also one of the cheapest options on the market, making it ideal for those on a strict budget. Our final option by Aurola Sleep is of the highest quality. With 100% of its reviews on amazon being 5 stars, this machine has been extremely well received by consumers – most of which have suggested it offers the perfect way to improve sleep. Including 7 distinct white noises and 7 distinct nature-based sounds, this machine offers versatility and efficiency – you really cannot go wrong here. Sleep machines offer the perfect way to improve sleep quality and help you fall asleep faster. By using white noise, these machines remove unwanted sounds and help distract the brain, therefore increasing sensations of relaxation and tiredness. As an added bonus, they are cheap, effective, and portable – making them one of the most efficient sleep improvers on the planet! If you have had any experience using sound machines to improve your sleep, then we would love to hear about it – so drop us a comment and we will get back to you ASAP!